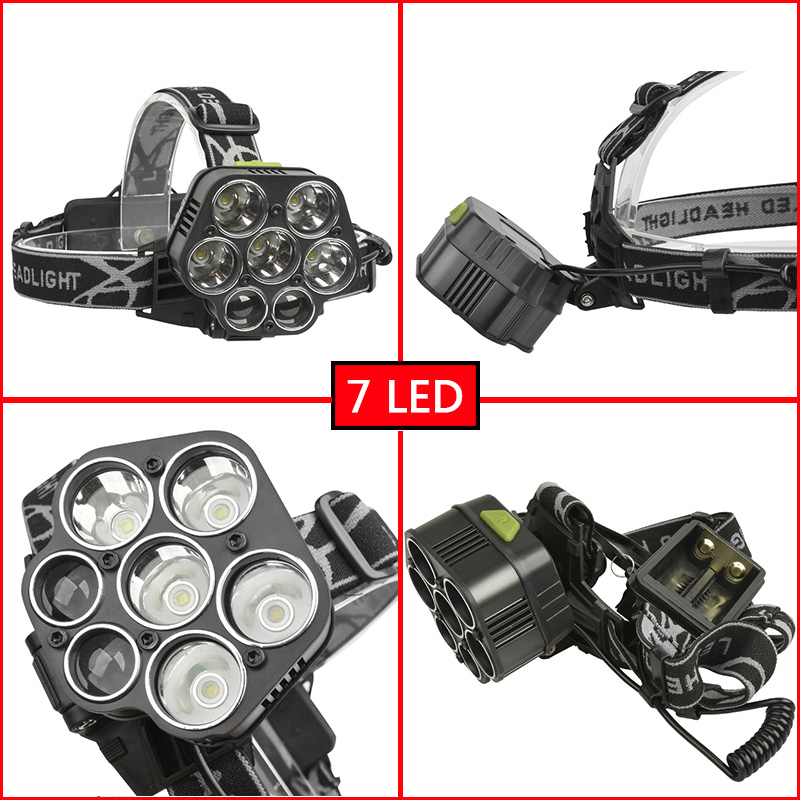 The TACTICAL 7/9 LED 6 Mode USB Charged Headlamps are the latest technological advancement in the tactical/outdoor gear area. 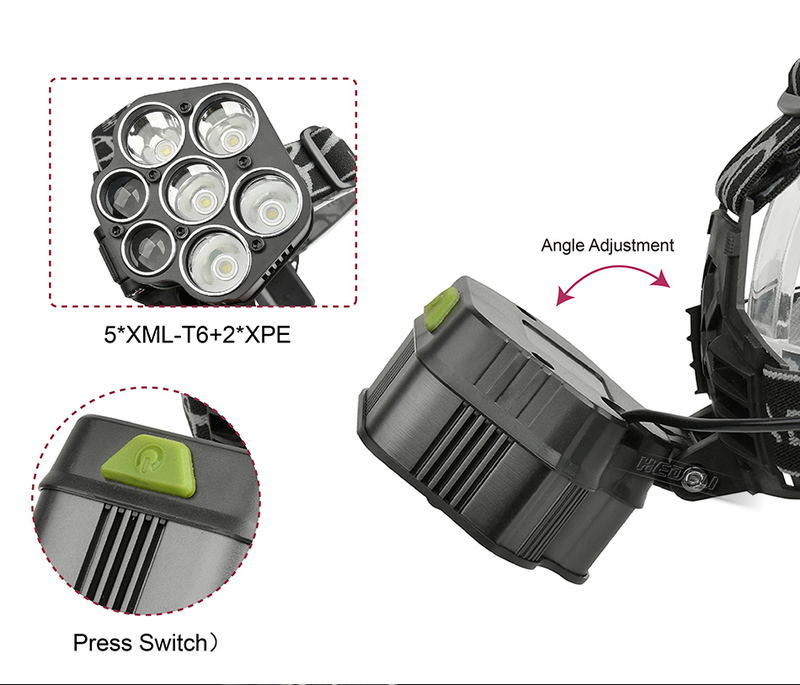 They feature a Cutting edge 6 mode LED light technology that ranges from one single light to all lights, and an additional flickering lights function. 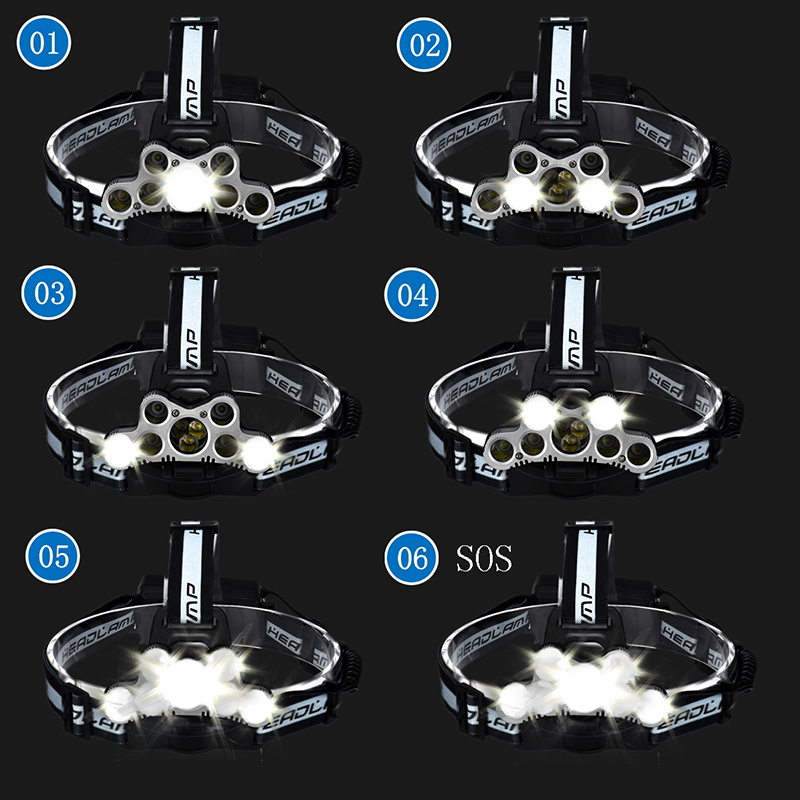 The variety of light modes is meant to give you full control of the situation while trying to perform in the outdoors. 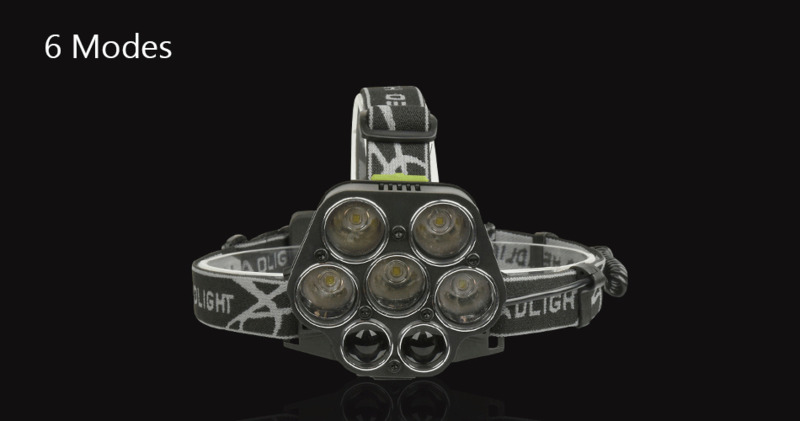 From hunting to hiking, Military service to Police duty, these Headlamps provide a light mode for any situation you might find yourself in. 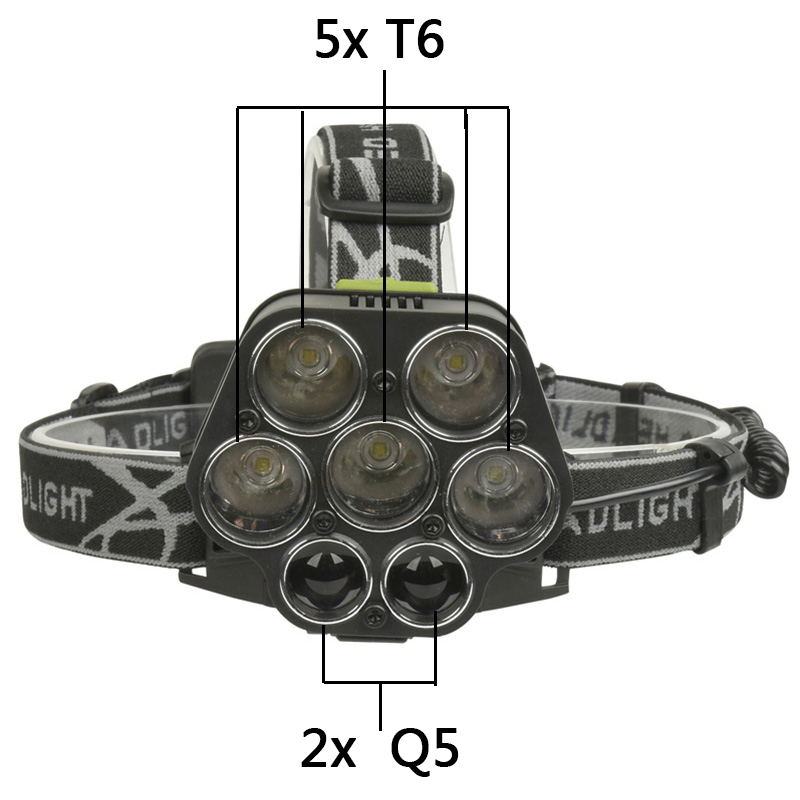 Unlike other Tactical Headlamps, the TACTICAL 7/9 LED 6 Mode USB Charged Headlamps are compatible with rechargeable 18650 batteries (Included FREE OF CHARGE for a limited time only). That way you don't have to worry about grabbing extra batteries out on your trip. 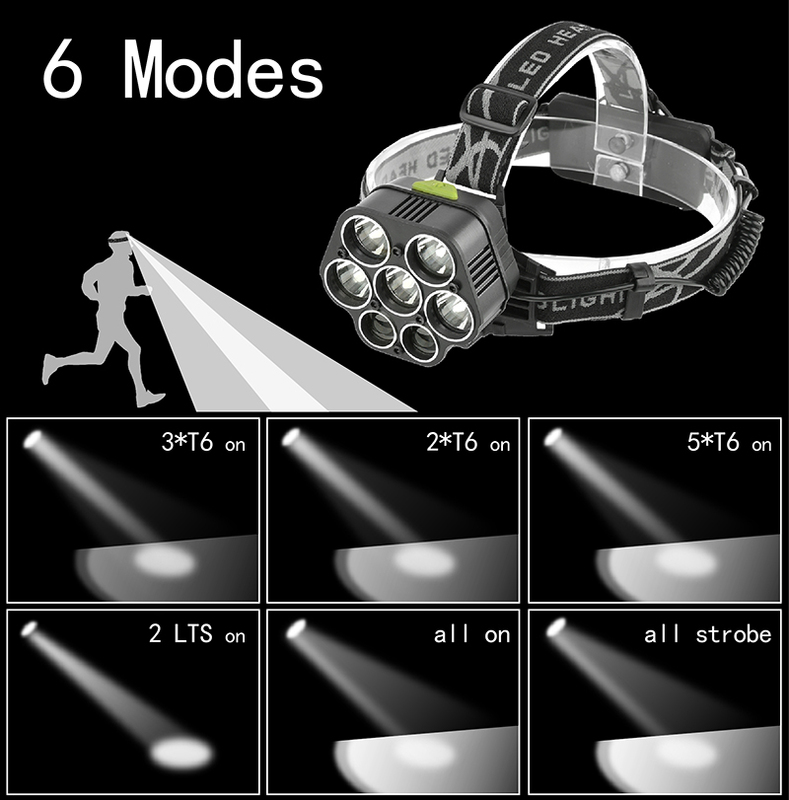 just plug any USB cable to the Headlamp's USB port and connect it to any external power source! 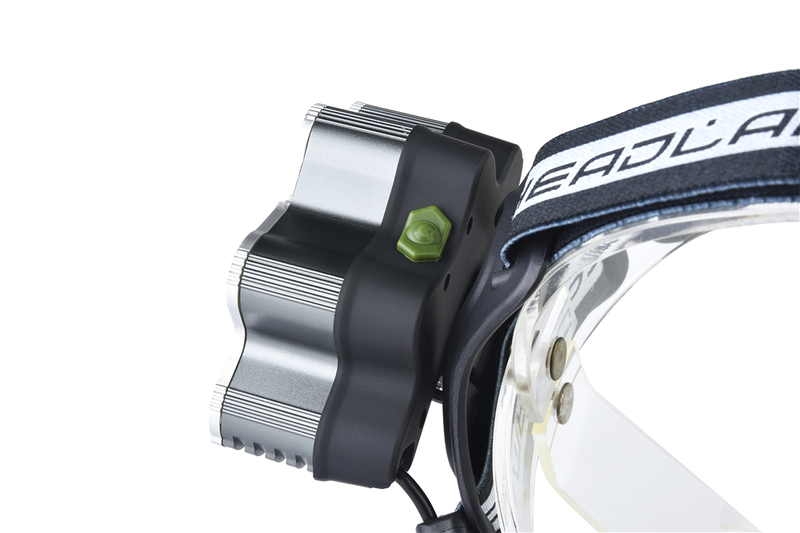 Both headlamps are also 90 degree adjustable for maximum comfort and flexibility. Moreover, they feature adjustable straps that can be shortened or broadened to fit any head size. 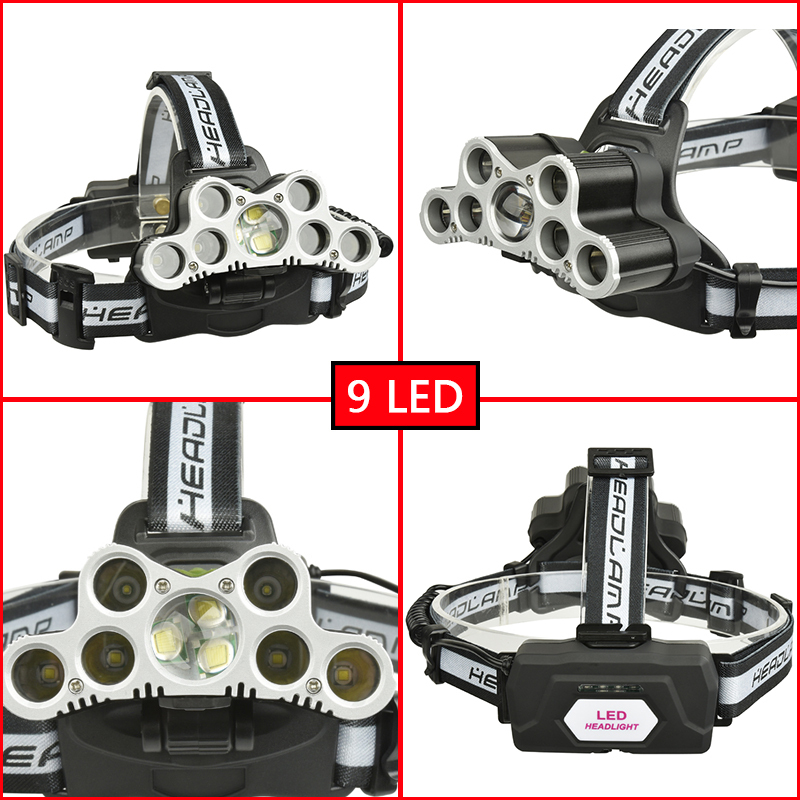 The TACTICAL 7/9 LED 6 Mode USB Charged Headlamps are built from quality Aluminum, which is durable and can safely accompany you in your outdoor endeavors. 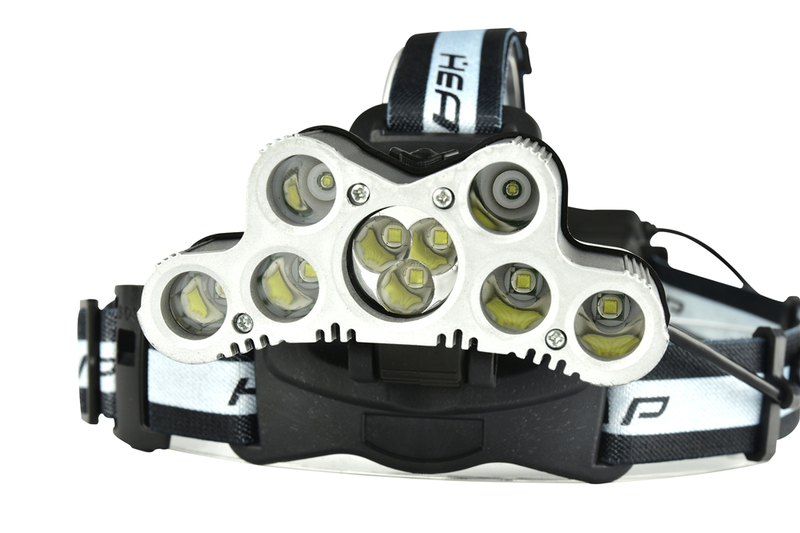 The Headlamps are also Water resistant for everyday and outdoor use (not for diving, swimming etc). That means you can wear them in rainy days outside, but you can also use them for house water leakage problems, pipe fixing ect. 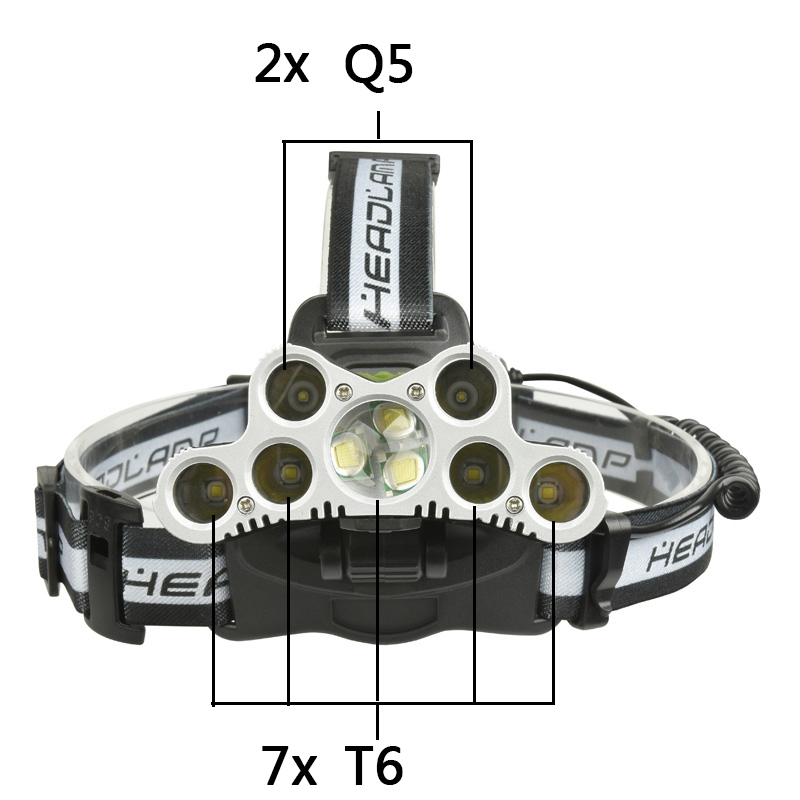 The TACTICAL 7/9 LED 6 Mode USB Charged Headlamps are great, but there's more! 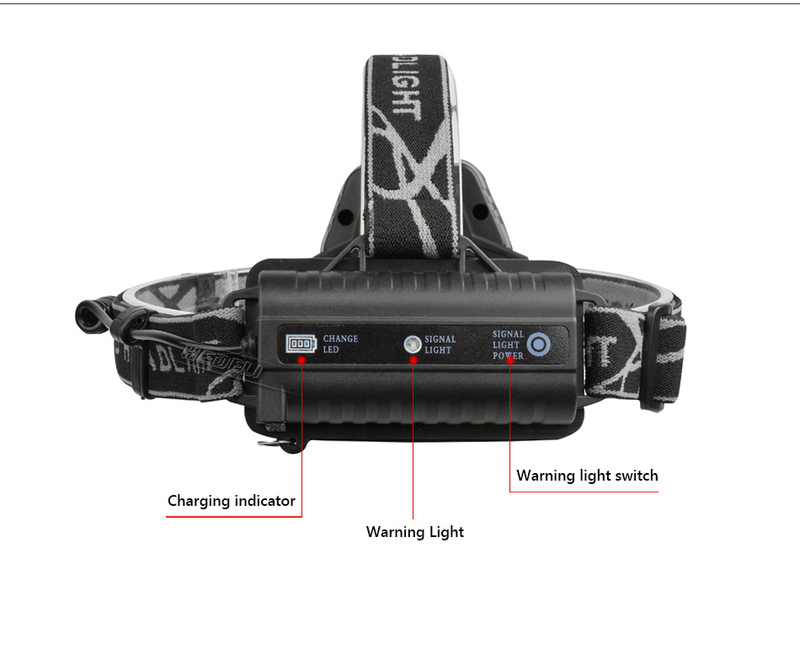 Upon purchasing a headlamp, you also get a USB cable, a USB adapter, a USB car adapter & Rechargeable 18650 batteries (for a limited time) ALL FREE OF CHARGE!